Keilir Aviation Academy acquires Flugskoli Islands. From left: Hjalmar Arnason, Director of Keilir, Baldvin Birgisson and Gudlaugur Sigurdsson from Icelandic Flight Academy, and Runar Arnason, Accountable Manager of Keilir Aviation Academy. 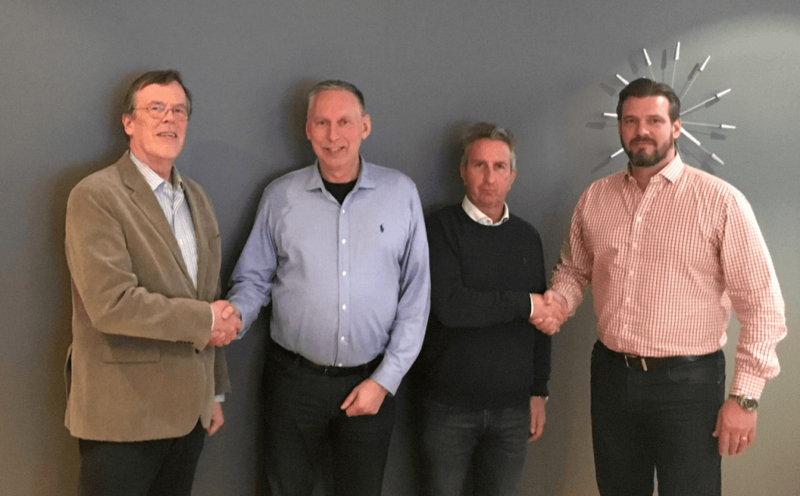 The long-established Icelandic Flight Academy has been acquired by Keilir Aviation Academy. The combined schools will operate more than two dozen training aircraft and sophisticated flight simulators in Iceland’s major airports, with a student body of close to 500 pilot students. “Keilir Aviation Academy is a relatively young school, although we have grown rapidly over the past few years,” said Runar Arnason of Keilir Aviation Academy. The acquisition of the Icelandic Flight school will not affect the daily operation and practical training will continue at both Keflavik International Airport and Reykjavik Airport, as well as at the domestic airports at Selfoss in South Iceland and Saudarkrokur in North Iceland.